Written By Ryan Mack, President of Optimum Capital Management, LLC So I am walking home and right around the corner from where I live I had to stop and pause. 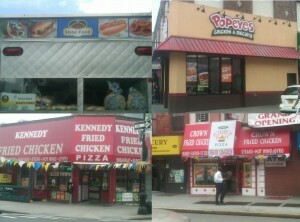 On ALL four corners in my neighborhood I saw "slow death" food that you shouldn’t order without a side of angioplasty. I had to take my camera phone and snap some shots so you all could see what I saw. Sadly, this is by far not the only intersection in the inner-city community that looks like this! . On corner number one you had Crown Fried Chicken. Corner number two you had Kennedy Fried Chicken. Corner number three…Popeyes Chicken and Biscuits. 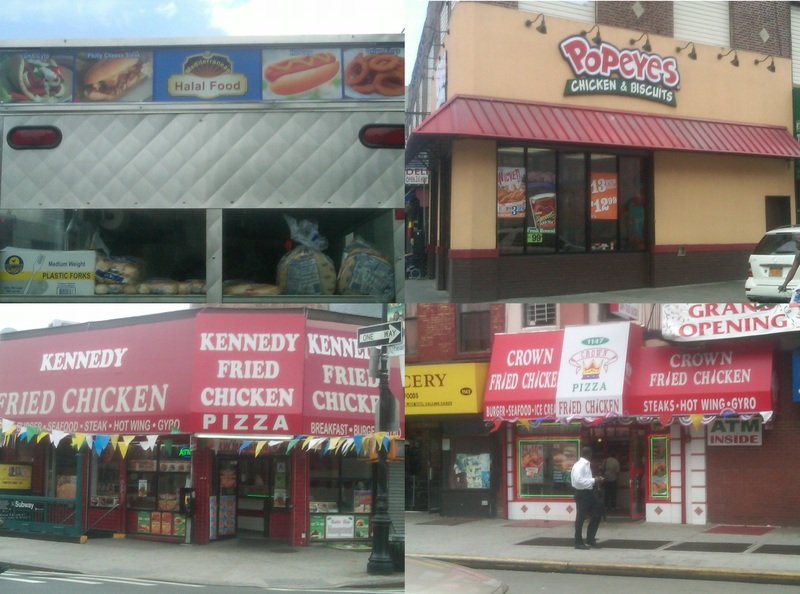 Finally, corner number four offered a little bit of diversity outside of chicken through a mobile street vendor who obviously wanted to capitalize on the local demand for those who were tired of fried chicken…he offered hot dogs, fried onion rings, philly cheesesteak sandwiches, and gyros all of which could block an artery or two with each bite. . Yes…my neighborhood is predominately black and I quite frankly and tired of hearing stories of people in the inner city neighborhoods who have to get limbs removed due to diabetes and a poor diet. It is hard for me to blame the restaurants for setting up their establishments in places where the demand is so high to eat this crappy food! Check out some of the stats below… . Approximately 13 percent of all African-Americans have diabetes and on average, African-Americans are twice as likely to have diabetes as white Americans of similar age. African-Americans have a 51 percent higher prevalence of obesity compared with whites. In 2006 the death rates per 100,000 population from high blood pressure were 15.6 for white males, 14.3 for white females, 51.1 for black males and 37.7 for black females . 32.4 percent of black males and 29.8 percent of black females have poor cholesterol readings.